It works with just about every SteamVR game. Update: The headset is now sold out. Original story: Most of the fun in VR comes from moving around, whether that's swinging swords in Skyrim or moving pieces on a game board. But if you'd rather play all your games with a standard keyboard or gamepad, this is a solid deal. The Lenovo Mixed Reality headset (without motion controllers) is just $99.99 at B&H right now. The headset has a total resolution of 2880x1440 (1440x1440 per eye), with a 110-degree FOV. Since this is a Windows Mixed Reality headset, it can play just about every SteamVR game, in addition to VR titles on the Windows Store. Make sure you double-check the system requirements before purchasing (or download this tool), and verify that that your PC has an HDMI 2.0 port for optimal performance. 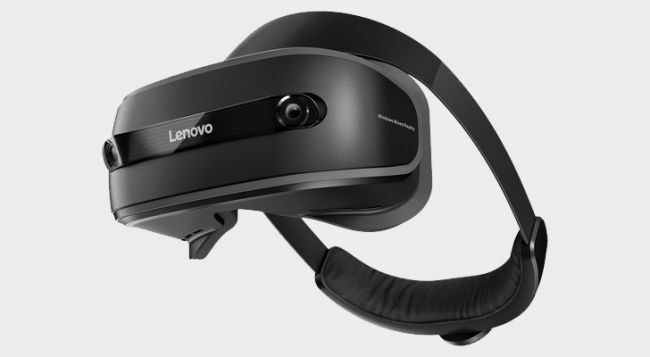 You can buy the Lenovo Mixed Reality headset here.